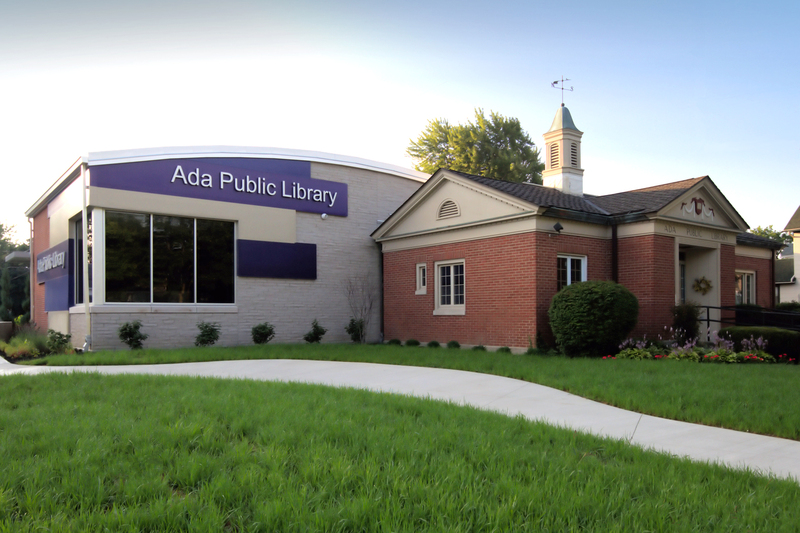 The renovation and addition to the public library serving Ada, Ohio brings much needed space and modern elements to a traditional building. The original, Colonial style building was constructed in 1953. It was renovated and expanded in the 1960s and 1990s to accommodate the changing needs of a growing community. That time has come again. 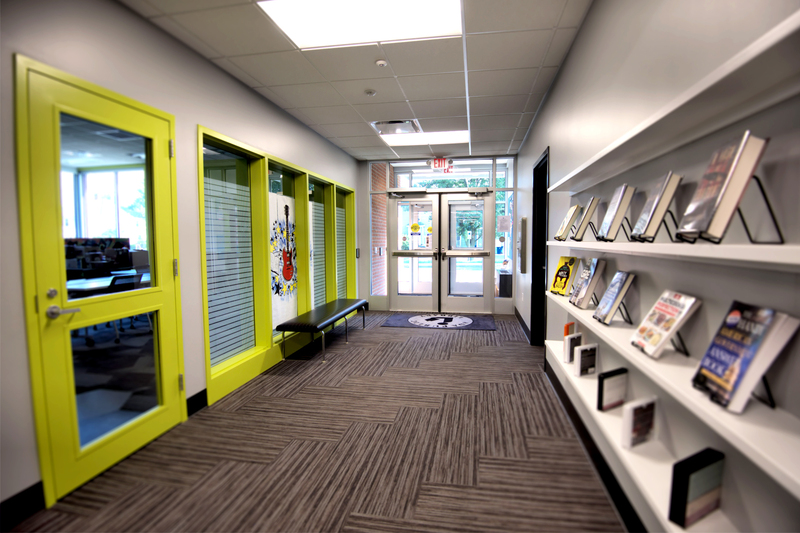 To bring the existing 6,045 square foot library up to date, the design team set its main goals to address accessibility, safety, technology, floor space, storage, and parking. 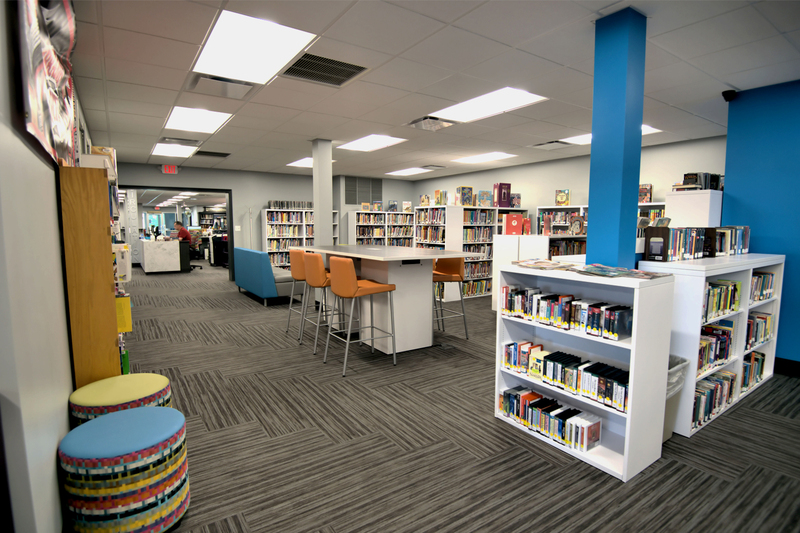 An addition to the library’s north side added an additional 1,500 square feet of interior space and an outdoor reading area – improving patron circulation and the library’s overall appearance. 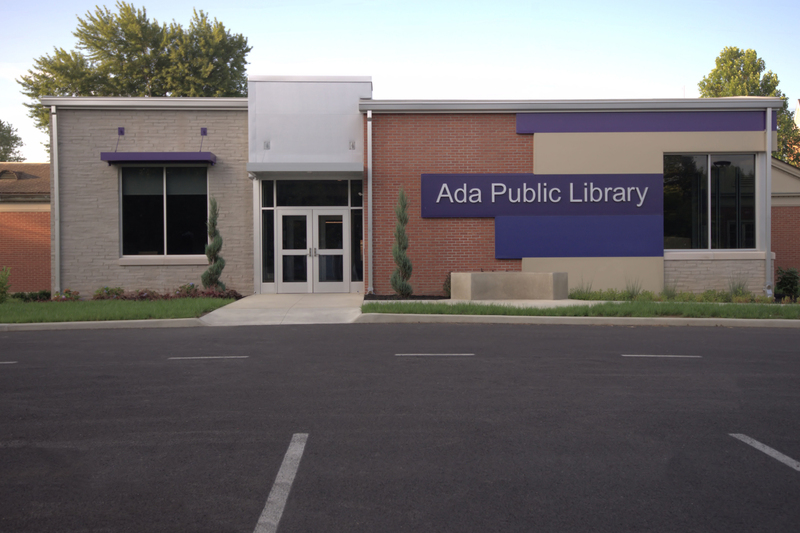 The main entrance was relocated to the library’s north side, adjacent the newly constructed off-street parking lot. Patrons will also notice a significant improvement when comparing the renovated areas to the original facility. 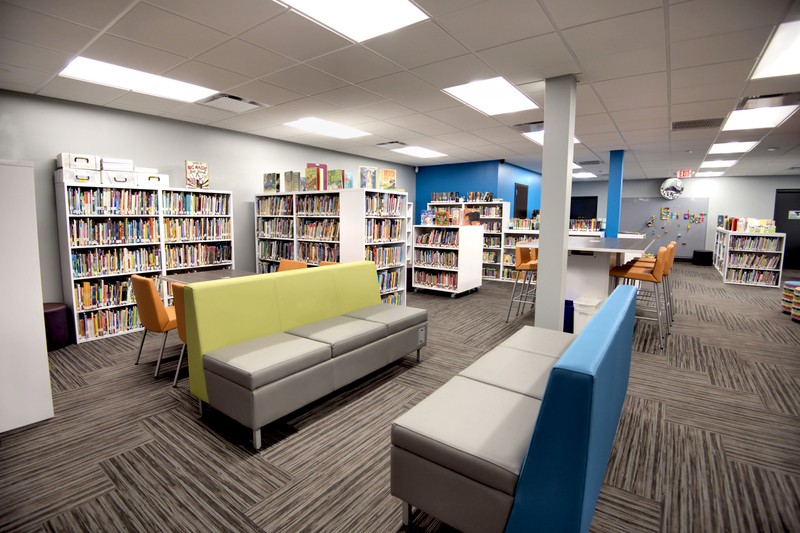 The renovated library offers visitors an expanded children’s room with more than double the previous space available with a dedicated story time corner, building brick wall, and tables and chairs of varying height. 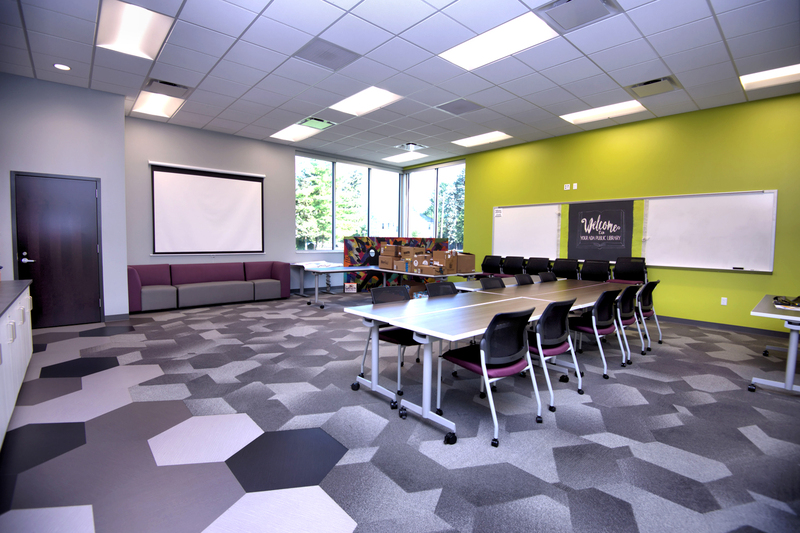 A new teen area with casual seating, and a large gathering space near the entrance to accommodate large programs, group study or board meetings also enhance the facility. 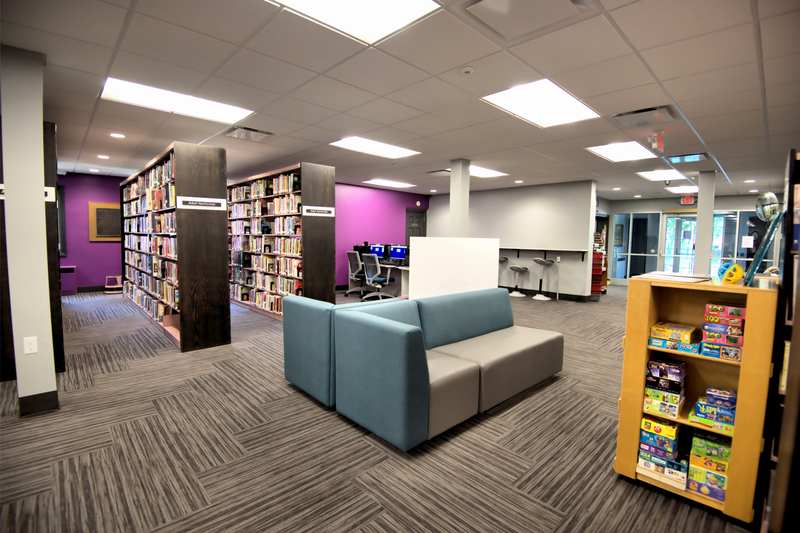 A new, centralized circulation desk and reconfigured restrooms help library staff easily monitor their surroundings. 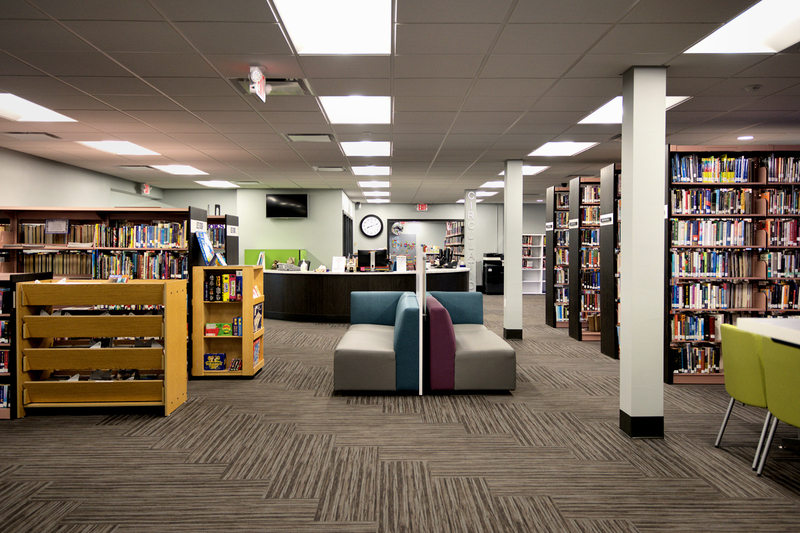 Additional improvements include new carpeting, ceiling tiles, paint, lighting, seating and book display. Improvements to the HVAC system, ductwork, and electrical wiring, as well as a new computer network and outdoor landscaping were also included.